Under Louisiana law, if you are pregnant and under the age of 18, you cannot obtain an abortion without the permission of a parent or legal guardian. If your circumstances prohibit you from obtaining this consent, you may still be able to receive abortion services by going through the judicial bypass process. A judicial bypass means that a judge grants permission for you to receive abortion services. The judge's permission takes the place of your parent or guardian's permission. Your tax deductible gift will help minors access the legal services and the reproductive healthcare they need. We will keep fighting for the rights of pregnant minors-- no matter what they choose to do about their pregnancies. We depend on generous donations from individuals and foundations to fund our programs and operational expenses. Thank you! 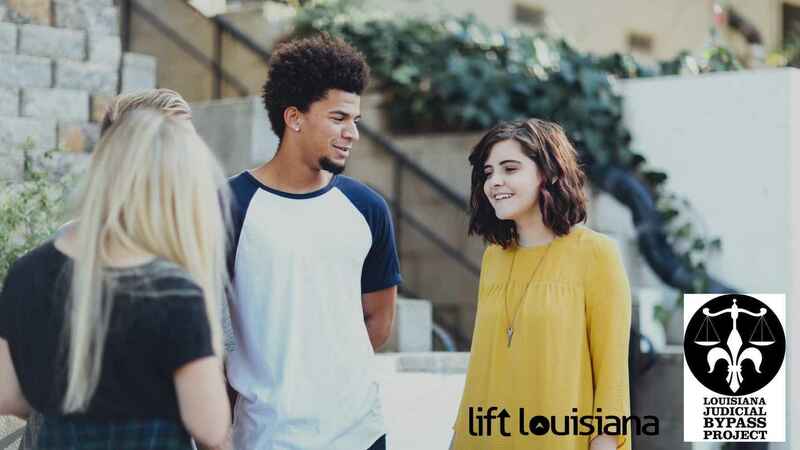 The Louisiana Judicial Bypass Project is supported by Lift Louisiana, a project of Tides Center, a 501(c)(3) non-profit organization. Donations are tax-deductible charitable contributions.